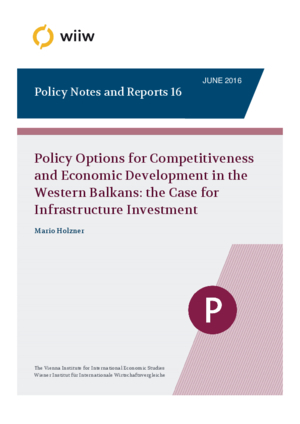 The Western Balkans are a region with a substantial economic catch-up potential. Compared to other European economies these countries are either poor or very poor. Structural underdevelopment and low competitiveness impede the catch-up process. Mass unemployment and a huge trade deficit indicate heavy internal and external imbalances. Short-run policy measures should focus on fiscal devaluation and NPL resolution to foster cost competitiveness and private investment. A ‘Big Push’ in infrastructure investment is imperative for long-term prosperity. An investment volume of EUR 7.7 billion as envisaged in the ‘Berlin Process’ has the potential for an additional GNP growth impulse of about 1% p.a. and a positive employment effect of up to 200,000 people in the region.